Metro Transit announced it is postponing the opening of the newly constructed section of the platform at the Central West End MetroLink Station. That means the main walkway between the MetroLink platform and the MetroBus area in the adjacent parking garage will also remain closed until further notice. Continue to access the MetroBus area from Children’s Place and access the MetroLink platform from Euclid Avenue. If you need assistance traveling between Euclid Avenue and the MetroBus area at Children’s Place and Taylor Avenue, you can still utilize the Metro Shuttles for transportation between the two transit areas. The MetroLink station has remained open during construction which got underway in August. 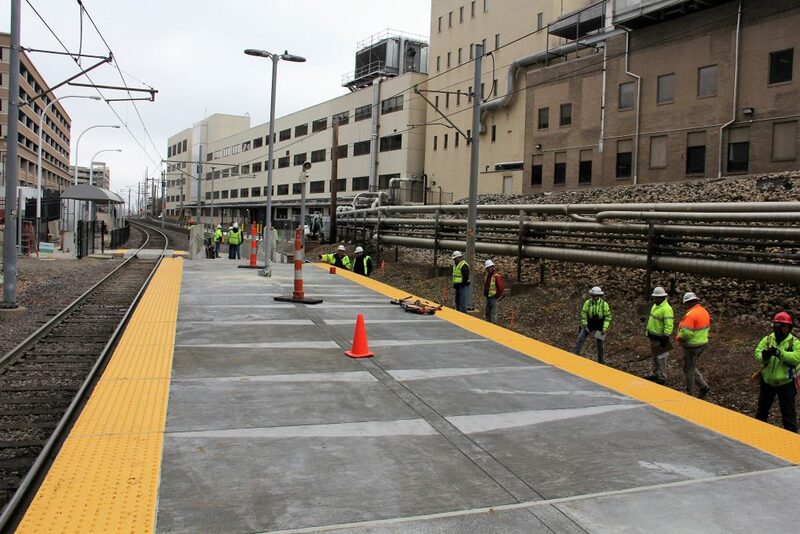 The new 60-foot MetroLink platform section at the Central West Station was scheduled to go into service on January 25. However, during the final inspection, a potential issue was identified that has required further inspection and necessitated the postponement. Metro Transit is working to address the issue. We apologize for the inconvenience the postponement creates for you. You’ve demonstrated great patience during this important construction project as Metro builds a better transit system for the region. Riders who board and exit trains at the busiest station on the 46-mile MetroLink system, the Central West End MetroLink Station, will begin using a newly constructed section of the platform on Friday, January 25. At the same time, the walkway will reopen between the MetroLink platform and the MetroBus area in the adjacent parking garage. While the station has remained open during construction, the walkway has been closed since late August to accommodate construction crews who lengthened the MetroLink platform. The extra 60-feet of platform will provide more room for the high volume of riders boarding, exiting and waiting for Red and Blue Line trains, especially during morning and afternoon rush hour. The platform extension at the Central West End MetroLink Station was the third and final phase of a $15.5 million project that included the building of the new Cortex MetroLink Station just to the east and the first quarter-mile portion of the Chouteau Greenway. Both of those projects were completed and opened on July 31. 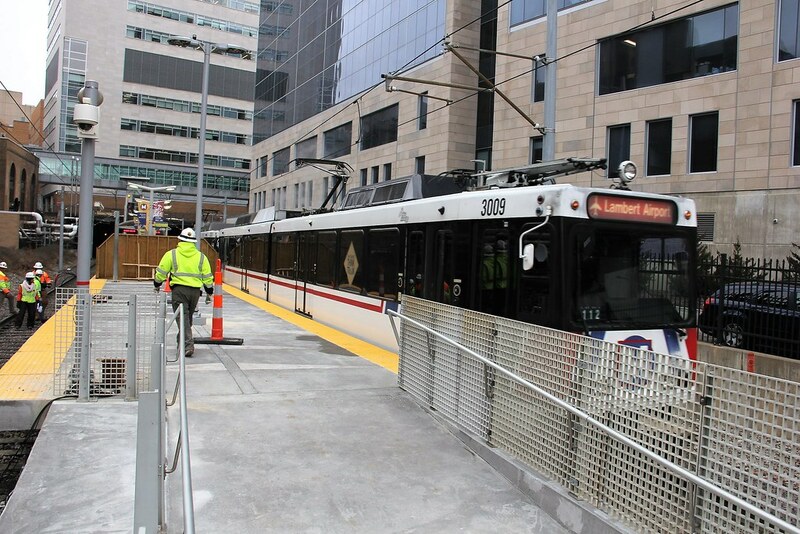 All three phases of the project were funded through a public-private partnership, which included a federal grant of $10.3 million from the Federal Transit Administration. Future customer amenities are planned at the Central West End MetroLink Station. A special event to mark the completion of the project will be scheduled for a future date.